Virgil van Dijk is in contention to make his Liverpool debut in Friday's FA Cup derby against Everton - but what will he bring to the team? Manager Jurgen Klopp moved for the £75million Holland international after witnessing defensive displays that at one point in the season he admitted were making him "really sick". Press Association Sport measured Van Dijk's statistics on the official Premier League website against those of his new central defensive colleagues, and he comes out on top across the board. 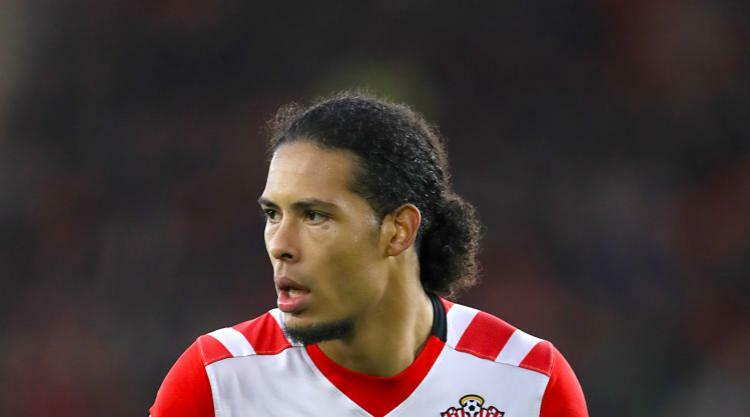 The immediate good news is that in 67 Premier League appearances for Southampton, Van Dijk has never been identified as making the mistake that led to a goal. Dejan Lovren has six such errors recorded against his name, most recently against Tottenham this season when he was substituted after 31 minutes. Lovren admittedly has also scored five goals in the competition, including three for Liverpool, but Van Dijk is only one behind in just over half as many appearances as the 127 made by Lovren. Joel Matip has two goals and two key errors, and Ragnar Klavan one of each, in 45 and 34 Liverpool appearances respectively. Van Dijk wins 75 per cent of his tackles on average, slightly ahead of his new team-mates, with Matip trailing the pack on 71 per cent. The Dutchman also matches Lovren for the most tackles per game at 1.61, with Klavan this time well behind with exactly one per game. There is more to defending than tackling, though, and the statistics suggest Van Dijk's reading of the game is also ahead of Liverpool's other defenders. Totalling up interceptions, clearances and blocked shots, Van Dijk averages 10 per game compared to 8.8 for Lovren, 6.8 for Matip and just 5.4 for Klavan. Van Dijk also wins a higher proportion of his 'duels' and aerial battles - 493 duels won to 192 lost and 321 to 111 in aerial battles, the latter approaching a three-to-one ratio. Matip is marginally above two-to-one in each category, as is Lovren in aerial battles - though the Croatian drops to around 1.8 duels won for every one lost. Klavan wins just over half of his contests in each category.